A friend of mine got married back in December, and she asked me to make roughly 12 dozen snickerdoodles. She had an adorable little dessert bar set up and several ladies from the church contributed. 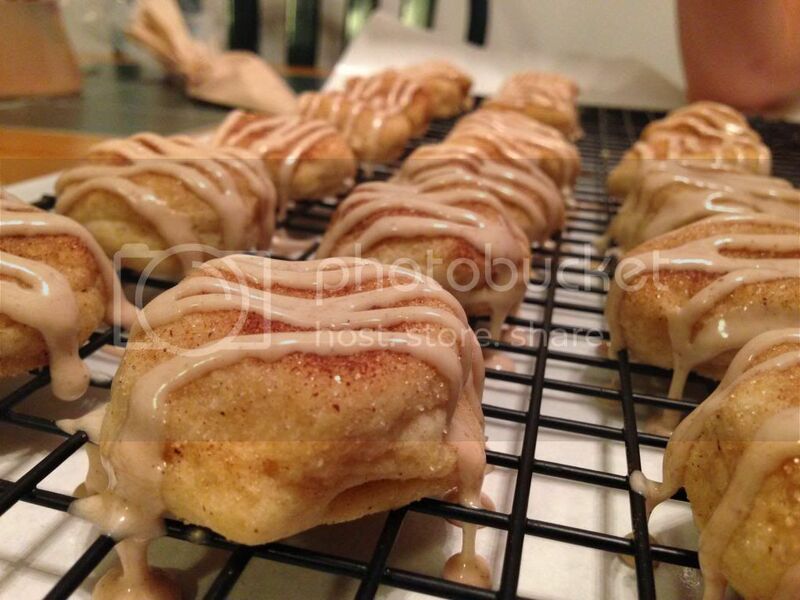 I hadn’t made snickerdoodles since I was in high school, and the ones I made then were really just the ready-to-bake sugar cookies dipped in cinnamon sugar. They’re actually really good, but I wanted to do something homemade for my friend’s wedding. I normally write down my recipes as I go, but I was making such a large batch and I kept adding a little cinnamon here and a little flour there that I had no idea what the breakdown was for a normal batch when all was said and done. I had three people ask me for my recipe and I thought ‘Uh oh…I hope I can recreate this’. I decided to attempt the recipe again for the Super Bowl party I went to last weekend. 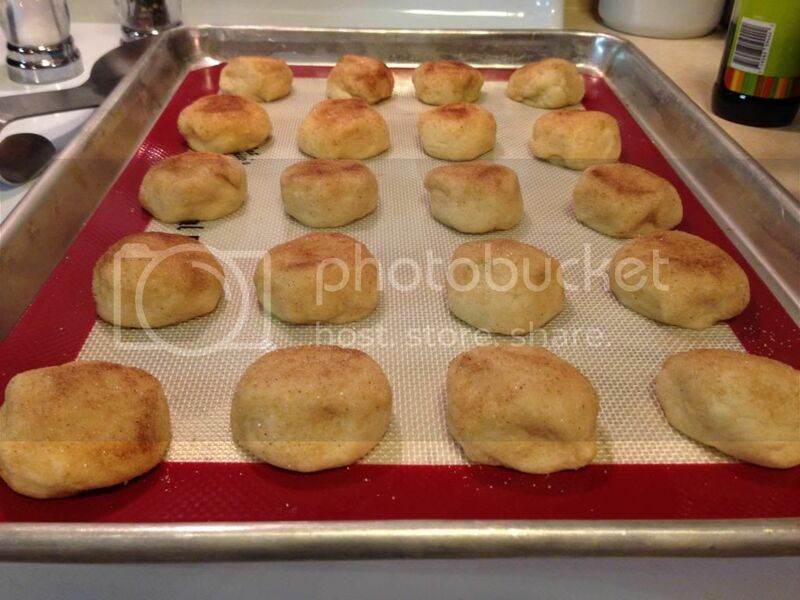 They didn’t turn out exactly the same…they turned out even better! I was so excited! And I made it a point to write down everything I did this time. Didn’t want to make that mistake again! Combine the top six ingredients listed under the dough section, mix thoroughly. Then add the remaining dough ingredients and mix until dough is no longer sticky (add a little more flour if you need to). 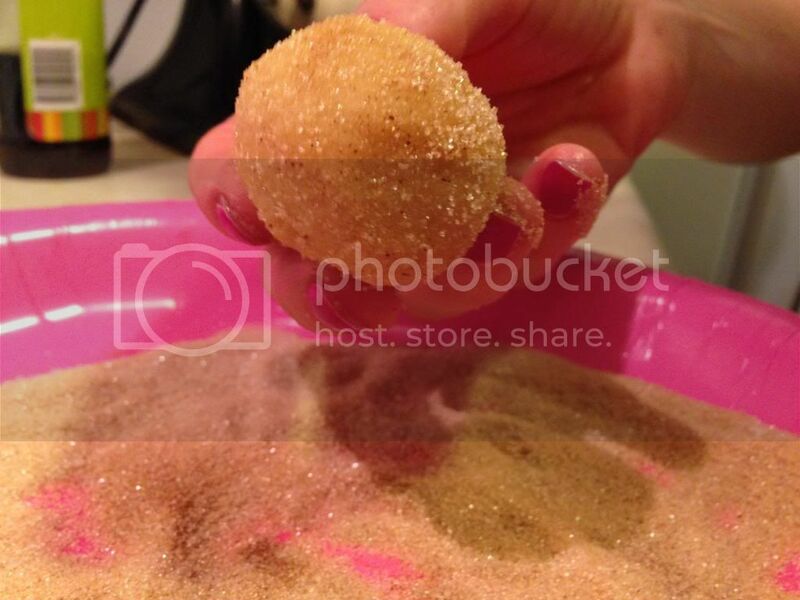 Combine your cinnamon sugar ingredients in a bowl. 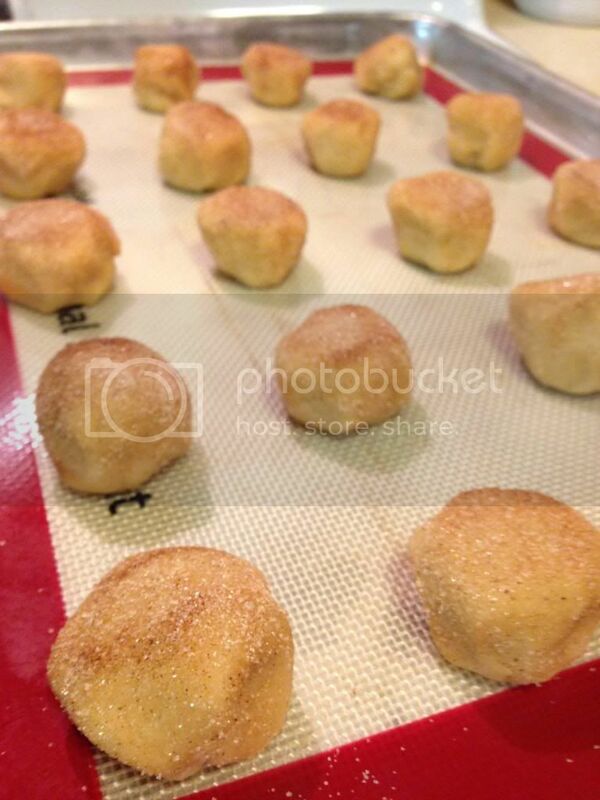 Roll the dough balls into the cinnamon sugar, thoroughly covering everywhere except the bottom. Do this to all your cookies and place on a baking sheet 1″ apart. Bake for 10 minutes then remove. They might not look done to you, but they are. If you cook them any longer they won’t be as soft. Transfer them to a cooling rack that has a piece of wax paper underneath it (to catch the excess glaze in a little bit). 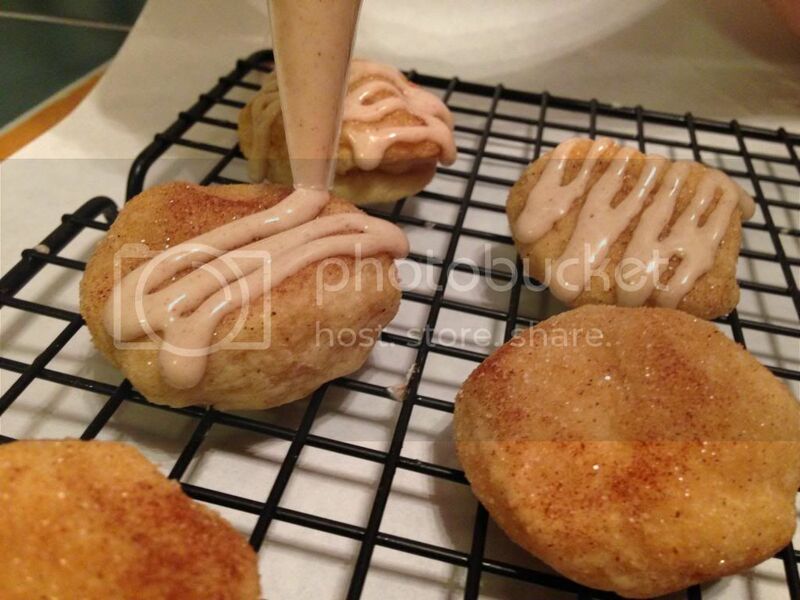 While they are cooling, make glaze by mixing together egg white, powdered sugar, and cinnamon to taste. 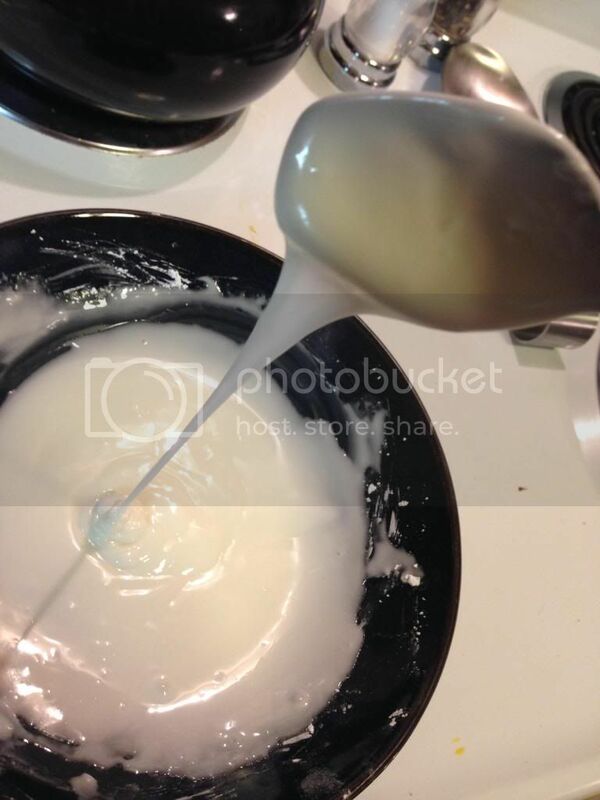 You want this icing to be at a consistency where it sets in 10-15 seconds. It’s the same icing Lisa used for her Gluten Free Sugar Cookies, minus the food coloring and plus the cinnamon. Put your icing in a piping bag (or ziploc baggy with the corner cut off) and drizzle it on your cookies. Make sure they’re mostly cooled down before beginning. Your icing will set very quickly. Once it does, they’re good to stack on top of each other for transporting! And there you have it! 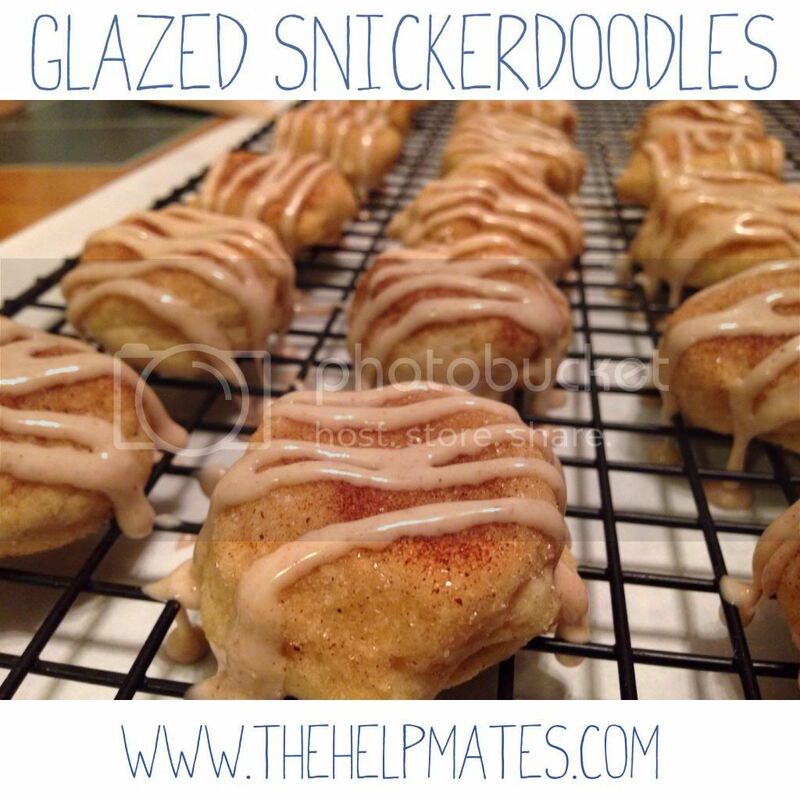 Soft and delicious glazed snickerdoodles!